Divergent singer and songwriter Waje’s highly anticipated second album ‘Red Velvet’ is very aptly named, whether you’re thinking about the fabric or the cake. Most thrilling about this album is even though Waje sings about love, we are treated to several genres, stories, and, most importantly, vocal dexterity. From the soulful tracks like ‘Calm Down’, which has some jazz influence, ‘The Truth’, and ‘Udue’ to the pop hits such as ‘Mine’ and ‘Got Your Back’, we explore love from varying perspectives. 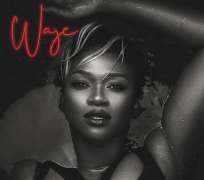 In addition to features by Adekunle Gold and Johnny Drille, the album also offers songs with electronic/house influences, another side of Waje we deeply appreciate.